FIGURE 7 A binary mask produced by automatic thresholding. (a) The diffused image slice. (b) The corresponding binary mask. FIGURE 8 Spatial information from the head mask is used to eliminate regions that are unlikely to correspond to brain tissue. 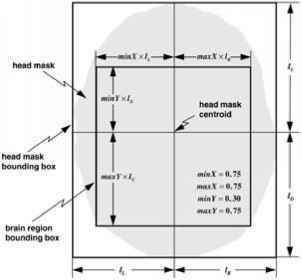 Features whose centroids fall outside the brain region bounding box are discarded. Reprinted from M. S. Atkins and B. Mackiewich. Fully automatic segmentation of the brain in MRI. IEEE Transactions on Medical Imaging, 17(1):98-107, February, 1998. © 1998 IEEE. FIGURE 9 Elimination of misclassified regions from the initial brain mask. The mask (a) produced by thresholding, (b) after regions have been filled, (c) after binary erosion, (d) after elimination of nonbrain regions, and (e) after binary dilation. 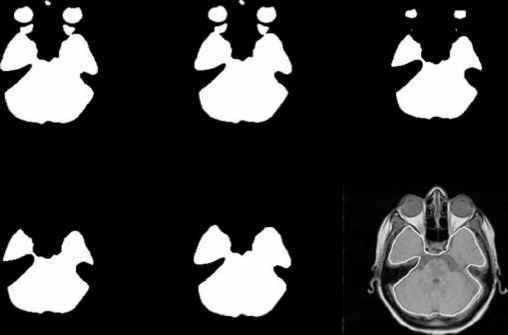 (f) shows the initial brain mask overlaid on the PD-weighted slice. weights of the energy terms are provided by the scalar constants a, ¿6, y, and k. This procedure moves each vi to the point of minimum energy in its neighborhood. The active contour model algorithm finds the intracranial boundary in all image slices using the same relative energy weightings for the combination of energy functions described earlier. The initial brain mask falls completely within the brain owing to the diffusion filtering. When this mask is poor, the adaptive balloon force aides the active contour to reach the desired edges. When partial volume effects are severe, the intensity energy term guides the active contour and produces consistent results. 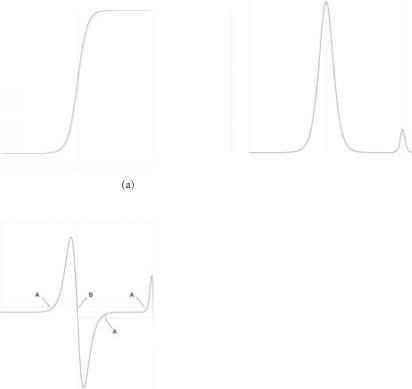 The gradient energy term computed on the diffused volume significantly stabilizes the active contour algorithm because the gradient derivatives are small in the diffused volume data . Figure 10 illustrates the active contour model algorithm applied to the MR slice shown in Fig. 10. Good results were obtained with a = 1, ¿6 = 2, y = 1.5, and k = 2 on all data sets mentioned below .